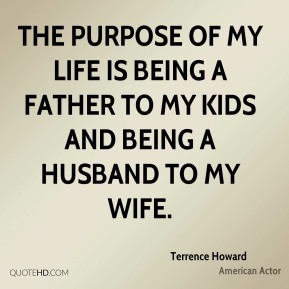 The purpose of my life is being a father to my kids and being a husband to my wife. 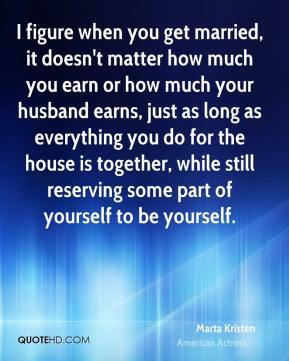 I figure when you get married, it doesn't matter how much you earn or how much your husband earns, just as long as everything you do for the house is together, while still reserving some part of yourself to be yourself. 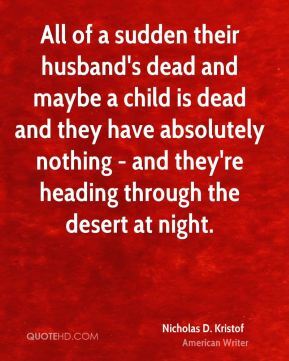 All of a sudden their husband's dead and maybe a child is dead and they have absolutely nothing - and they're heading through the desert at night. 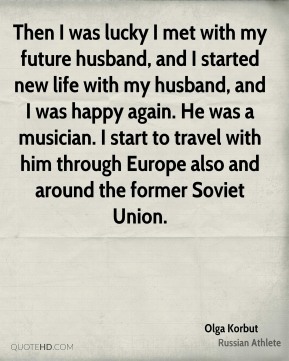 Then I was lucky I met with my future husband, and I started new life with my husband, and I was happy again. He was a musician. I start to travel with him through Europe also and around the former Soviet Union. 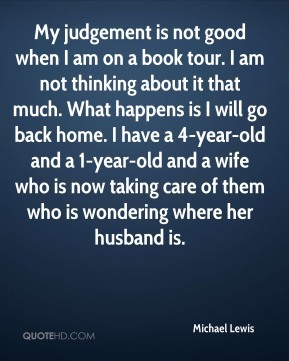 My judgement is not good when I am on a book tour. I am not thinking about it that much. What happens is I will go back home. 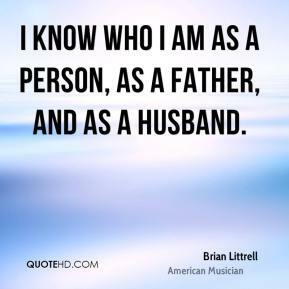 I have a 4-year-old and a 1-year-old and a wife who is now taking care of them who is wondering where her husband is. 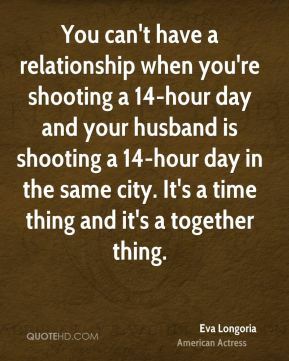 You can't have a relationship when you're shooting a 14-hour day and your husband is shooting a 14-hour day in the same city. It's a time thing and it's a together thing.